David Andrew Warner is an Australian cricketer. A quick-scoring left-handed opening batsman, Warner is the first Australian cricketer in 132 years to be selected for a national team in any format without experience in first-class cricket. A diminutive and dangerous opening batsman, David Warner exploded onto the international scene in 2008-09. His breathtaking effort of 89 from 43 balls in his Twenty20 debut against South Africa at the MCG was all the more remarkable as he was the first man to walk out for Australia before playing first-class cricket since 1877. Promoted to the Australian one-day team, he struggled after a strong 69 in his second game and was dropped, but remained in the Twenty20 plans. Despite the attention of the national selectors, he could not convince the state panel that he was worthy of a Sheffield Shield debut until a late reshuffle enabled him to play the final match of the season. 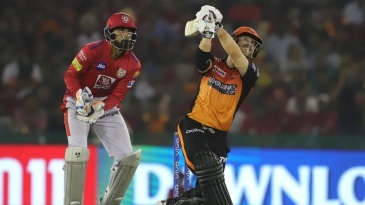 Find David Warner profile and stats of batting, bowling and fielding including latest updated news of David Warner, videos and images at Hamariweb.com. Also find detail Player profile and career statistics of David Warner of Australia. David Warner and Shane Watson punch Indian bowlers as Australia gat to a score of 100 runs in ten overs in Super Eights fight of World T20. Hahaha that’s was a brilliant moment in my life…Indians should thought a lesson. 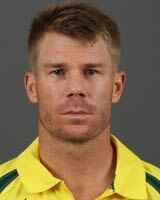 David Warner - Find David Warner of Australia Cricket Team complete player profile, number of matches, runs score, wickets & catches, Statistics, Records, David Warner Latest News, David Warner Videos, David Warner Photos, and other David Warner Cricket Team players.